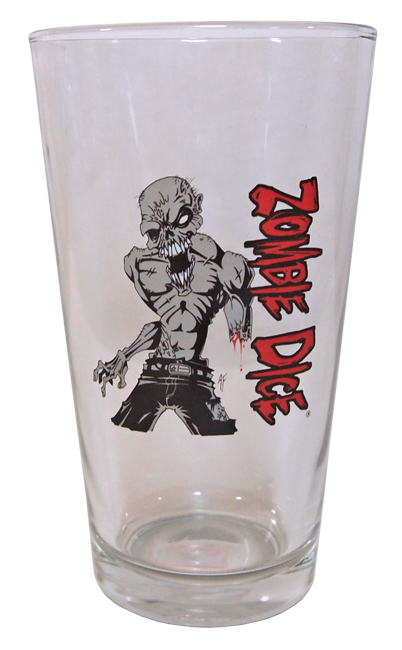 Wait, you can't drink brains! Well, okay, you can if you have a blender big enough and the time to prepare, but now we're just splitting hairs. 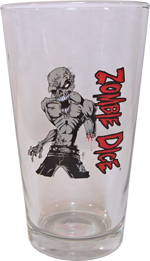 But what you can do with this lovely Zombie Dice Pint Glass, without even needing a blender, is enjoy your favorite beverage while supporting the pro-zombie agenda. Actually, maybe your favorite beverage is something that requires a blender. We don't know.